Here are some tips on how to start your very own tire recycling business. 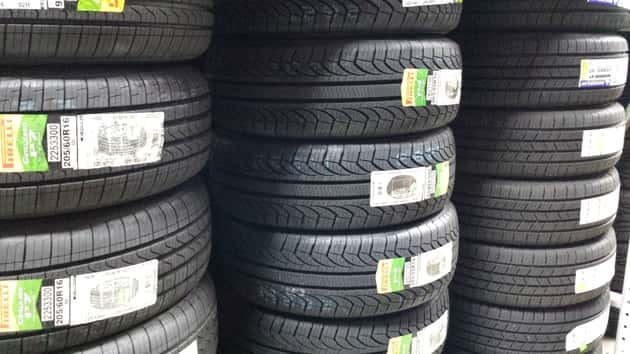 In this type of business, the first thing you should do is to look for reliable suppliers of discarded and used tires. You should be able to locate those suppliers who are accredited by your state to make you stay out of trouble. Usually, the state management agency is the place where you can look for suppliers of used and discarded tires. Make some market research and be able to get the particular prices from the known disposal companies. In most states, they have this review federal and state regulations that you need to know before you start your tire recycling business. The environmental Protection Agency website can be a reliable source for these reviews and regulations. By looking for the links of tire recycling groups and companies you will be able to know their usual style in recycling these used and discarded tires. Also, the regulations and reviews mentioned in this article will definitely give you guide on how to do the jobs needed to be done when you already start your business. It is also important that you would determine the potential customers for the products that you will come up from the discarded and used tires you have collected. There are many potential buyers out there who are interested of buying your products. Those people who are environmentalists and recycle fans are the main customers that you should look for because they are the ones who will be your potential and prime buyers. Conduct a market research. There are also those people who are not really environmentalist but they are interested of buying things like your used tire products. Target an area where there is a little competition so that most of the profits would go to you if you just know how to locate the right buyers for your products. Be an expert on the advantages or the good things about buying recycled tire products so that you will be able to relay this to your potential buyers. Sometimes, by giving an impression to your customers, you will be able to get them and make them buy the products you have. There are lots of benefits when you buy recycled products. You are not just helping the planet to be preserved but you are also buying quality products which are cheap but of good standard. Buy the necessary equipment needed for your recycling business. It is important that you have the equipment and tools needed so that you will be able to produce your recycled products in just a short period of time. I looking to start a recycling tires and export the usables business , I M located in Maryland. I'm looking to get started in tire recycling and sales of crumb rubber, located in iowa. where to sell the used tire after collect? i would like to startup a tyre recycling business can you send me same details relating to equipment and shipping of the same? I am looking to start a tire recycling business in Oklahoma. hello would like to startup a tyre recycling business can you send me some details relating to equipment and you sale equipment ? Could you please give me the investment bracket for this business. I am from Chennai and I'm sure there is a good opportunity for this business here. Hi i am a truck driver and would like to be at home, and start my on business in recycling old tires. I live in va. Could u send me some info on starting this type of business. Thank you so much. Dear Sir,am from chennai planning to start Tyre Recycling Business. Please provide me information like the potential buyers of the finished goods like fuel oil and carbon black. Thank you. Dickinson ND 58601. What is the feasibility of a tire recycling business in ND. We have a lot of oil activity right now. I AM BASED IN SOUTH AFRICA, JOHANNESBURG. LOOKING FOR COMPANIES IN THE MPUMALANGA PROVINCE AND GAUTENG TO SELL USED/DISCARDED TYRES FOR CASH. I am based in South Africa, Johannesburg, looking for companies in the Gauteng province to sell scrap tyres for cash. Where to sell scrap tyres for cash in Johannesburg? Hi South Africans Christopher, Fernando and Mokara have you come right with your search for businesses that bought secondhand tires for recycling? And how much are involved? Regards Gert (crazyalsprop@gmail.com) Please put Tyre recycling in your subject field. hi i would like to start a tyre recycling company in bloemfontein south africa, can you please help me with the company that is doing the same thing because i would like to talk to them about investing or starting the same company here in south africa because the market is very big here, please help me. I am currently looking forward to starting a business in tyre recycling. I would like to hear from H- South Africans Christopher, Fernando and Mokara the outcome of research done on companies that are prepared to buy secondhand tires for recycling? Regards Gert (crazyalsprop@gmail.com) Please put Tyre recycling in your subject field. i want to start tire recycling business in guwahati. How to start the business and project cost of smaller unit. Please help . he i want to know the end users basically the consumers of the output we get from the tyre pyrolysis plant i.e carbon black powder, oil and steel. please tell me about this. Hi there! I'm interested in recycling used tires Zeerust, North West province. Please help with authorities to approach for registration. I am starting a tyre recycling plant in namibia. Looking for buyers for our tyre crumbs. Any feedback would be welcome. I'm interested in starting a used tire collection service in the Chicago, Illinois area. Can you please provide outlets that will buy the used tires from us after collection? Hi, I would like to start a Tyre Recycling business in South Africa. I am currently residing in Johannesburg where I would kick-start my first plant and there after expand to other regions within South Africa. Please provide me with all the relevant information regarding the industry. I need to know how much capital is required, what are the requirements for a successful tyre recycling biz. Please advise soonest as I urgently need your expertise and knowledge from start up to the end of the process. I have a new patented recycled rubber mulch holder, and I am very confident it will out sale all mulch holders in todays market. It looks great and has tremendous curb appeal, its easy to install, less than five minutes and no tools required for assembly. It looks great with wood mulch or rubber mulch and would help increase the sale of rubber mulch because it looks tremendous with the rubbwe mulch. I am looking for companies that would be interested in this mulch holder. Terry Wells phone 662-842-4823. Yes Hello! My Fiance and I, are looking to start our own tire recycling, environmental exchange business in Atlanta, Ga. We would like to bring new innovative uses to the use of old tires, while increasing the quality of the Global environment. We would also like to partner with the inner city communities to help remove debris sites, and clean our streets, one neighborhood at a time. If anyone is interested in investment opportunities, or even advice, please contact us at 404 438 7570, thank you very much! interested to know about machinery in details and there cost. Looking to sell your scrap tires? I'm in johannesburg gauteng south africa, sms me on 082 663 1482. I want to establish a tyre recycling company in andhra pradesh suggest me plz what is the budget of cost to start company. I am owning Tyre Retreading company in Chennai Tamilnday, India. Would like to know more details on Tyre Recycling/All recycling. dear sir, i want to start tire business Bihar. Kindly give the detail information. @JOHANNES BORCHERDS there is a programme called redisa here in south africa which accredits companies to recycle tyres. Contact me at rich.ntate@gmail.com and maybe our company and yours can find synergy in working together as we are accredited by redisa which is endorsed by the department of environment. God day, i am looking for people that we can team up to start a recycling company in the Democratic Republic of Congo. I currently collect waste tyres in the UK, but am looking to convert into Oil and Carbon. Please advice. I would like to start a tyre recycling business in south Africa, can you tell me more about the process as well as all the equipment I will be needing. THANK YOU! I need guidance on how to get started with recycling company in Lesotho and potential customers of rubber crumb. It depends on how many tons of the plant you need. 30tons about 30,000 sq.ft. costs of the plant is around US$1.5million. 2 engineers provide to set up, it takes about 3 months to ship to your place and 2 months for set up, then start production. Dear Srimanta Parida, My name is Ronny Law located in Hong Kong. I am selling the Pyrolysis plant, we have this kind of machine. we have 15 tons and 30 tons. 30 tons per day, come out of Dissel No. 2 is about 10tons per day and carbon black is about 10tons, balance is stainless stell. You may come to hong Kong to see the machine performance on around May, 2014. We are setting one machine in Hong Kong. any good inquiry please send email to ronnyLaw@worldsino.hk; where is your country. hi, i want to know of companies that buy used tires for recycling in Johannesburg. Good day all my name is nick, I buy up old scrap tires which we are use in our company. tires we can repair and sell, there is good money to be made in this. Interested? Contact me on 082 663 1482 or email @ nickslloyd@gmail.com thanks. Hi this is Sunil Kapoor from New Delhi and I'm looking for waste tyre dealers in North India for Pyrolysis plants. Please contact with the offers on +91-9818540101.